A “WOWZER” for your Wednesday! HHD and boy do I have a super fun card for you today! I said that today I would be showing you how you can take scraps of Designer Series Paper and make an AMAZING CARD from truly MINIMAL product! I know that many of you will “get it”...you know…the feeling inside when you create something and at the end of your “playtime with paper”….you are smiling a bit bigger and feeling pretty darn good? Well, that is how I felt at the end of making todays card! It probably was at least 3 years ago I made a similar card using this layout but I could not find it when searching back through my posts. I am sure it was eons before I had switched over to Word Press…but I was just tickled that I found the video that inspired me with this great technique in using up those scraps! I am not sure if you are familiar with Gina K Designs. Gina K has been around for years in both the card-making and scrapbooking industry and she is also the host of Stamp TV. Gina has, just like Stampin’ Up! the amazing ability to have super inks and papers that always match…and I find her videos very helpful when trying to learn a new technique. If you click here, you will see the video that Gina did for todays inspiration. Now….let me condense it for you and share a tip that will make you squeal so loud….that Daisy would think she has competition! I am working with the 2 stamp sets below….Country Lane and Rooted in Nature! Both of them are just wonderful and I love the fact that you can get so much more mileage from them as the fonts are just about the same…. working super between them. On Friday, I hope that you will pop back to see another inspiration that I have for you with these 2 stamp sets! I love the fact that our DSP have a bold and POP side and usually one that is more fitting to a season…and then the flip side – usually a smaller and more subtle print that you can use all year long. Stampin’ Up! truly does their paper amazingly. Let’s get to the tips for this super cute card. I think that you will agree with me…this card just as it is could be suitable for many themes…from birthday…to thinking of you….to Thanksgiving etc…. For today’s card, I did use the Stampin’ Blends for the simple coloring of this card. I have listed at the end of the post the colors that I used and I did not do anything fancy whatsoever. The blends just glide over the paper making it effortless to color. I truly wish that Stampin’ Up! would have a CLICK OF A BUTTON that groups all of the collection that they have thus far for newbies to do that thing we love to do….HIT IT and just get them all! I think that the reason they do not have that as an option is that they are adding more colors….just like they did for the Holiday Catalog. You can CLICK HERE to see the offering that we have thus far…..when first getting a new color, I would suggest that you get the combo….do not get hung up on the word light and dar….just think of them as 2 different colors as that is exactly what they are…I say get comfortable with them and then you can learn more…. I was planning on using one of the yellow patterns from that DSP collection but then when I saw that I could use (3) different papers with the same color scheme…. (Blackberry Bliss)….I thought – PERFECT…..the back drip will have a monochromatic feel and then the images will even POP more….and you know what it WORKED! I have a BUNCH of pictures for you today and please feel free to ask a question in the comments if you need clarity. It truly is SUPER EASY and FUN….there is no right or wrong way to place your papers….but I would recommend your 1st strip be in the upper right corner and then work from there. If you watch the video…you will see a great visual demo! The one thing that I was super happy that I thought of was to cover the base with a piece of Multipurpose Sheet and then it would be EASY to place the strips of paper…..yep it was….but one thing that I did not think of….the adhesive would be sticky in between the strips! I admit, I frowned as I thought that this was a PERFECT solution to using a glue or a snail tape runner etc….and before I started from scratch again….I thought …..
Take the EMBOSSING BUDDY and rub it over….and IT WORKED!!!! In the below picture you will see how the beautiful backdrop came together and then you can see the other components that brought this together! I invite you to look at this…..break it down and then you can see that this is not only fun and a bit different….it is a very clean card with super fun lines! One of my favorite new colors/neutrals in the Stampin’ Up! line is Gray Granite…it works wonderfully with so many different color combos…from the brights to the deeper tones. I matted each of the below elements with it and I think you will agree….it makes a difference. With that said….use the basics…buy the tools and products that will help you complete the projects that you like to make. I think it is fair to say….we all have a bunch of stamps and trust me, I am SOOOOOO guilty as well – I have many stamps that have never been inked up but the one thing I can say is… I do have are the basics…. When you see the below picture you can see some of them that I am talking about….the glue dots…the linen thread….the Blends…the multi-purpose adhesive sheets – you see, when they are assessable to you….things just go easier! Can you see how “well behaved” the linen thread is? Yep, a trick that I have shared many times with you….I use bees-wax from the fabric store (it is pictured in the above photo) I buy that at JoAnn Fabric but you can get it just about any where! Again, another exable of having the right basics will back your final project shine! Let’s get to one of my favorites…the envelope! I decided to attempt to do a similar pattern for the back flap. It was super easy and I was thrilled with the end result…what do you think? I am super excited to do one with fun and festive Christmas Colors….won’t that be fun!?!? If you have questions about the adhesive release sheets…..PLEASE ASK…..please do not feel that there could possibly be a silly question. Trust me, I am the queen on asking silly questions….just ask my kids! Leave a comment and I will do my best to answer it but I am also sure that there will be many others that will chime in. I just love the community of you guys that follow my blog! There you go….are you thinking that this might be too hard for you to do? If so…..I say NO WAY…..just try it – you will be SHOCKED with how little of DSP that you will use….so try it….you will like it! If you do not have the adhesive sheets that I used…that’s ok – just use whatever adhesive that you have but I will say that using these makes it SOOOO easy…..and the dusting of the “powder bag” – PERFECT – all of the STICK GOES AWAY but the bright white is still there! I will see you on Friday with more inspiration using these 2 great stamp sets…..just trying to be practical for you….have a great evening!!! I’m BACK…and here is a keeper formula! 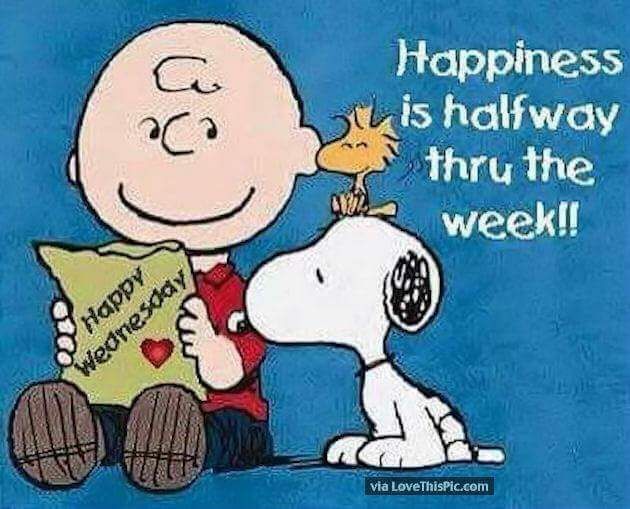 Good Morning and Happy Hump Day to you! I know it has been a while since I have posted but as you know me by now…Family is always 1st for me and even thought I thought that I would be able to blog sooner…it simply did not happen! At the end of the post I will share with you some pictures of what I have been up to…but in short, John and I went to Seattle to get our Hannah settled in her new “home” for the next 5+ years….talk about being on the other side of the country….mission was accomplished and it was wonderful to see her happy and content with the next chapter in her life! Before we get going on today’s card of inspiration that I have for you….I have some GREAT NEWS…..
ALL OF THE HOLIDAY SHARES ARE OUT THE DOOR!!! I must admit, I was super happy and I did do a “happy dance” myself as I did not get back from Seattle until last Thursday and yes, we pulled down Randall Lane and there they were….Stampin’ Up! boxes waiting for me. I expedited the shipping as if not….I know that it would be too darn long for you to get them…so I was super happy that there was..MISSION ACCOMPLISHED! I will NOT be doing another wave of this Holiday Product Share as I am really trying to implement some new offerings to my blogging (and trust me, all of this takes a BUNCH OF TIME) but there is more GOOD NEWS…..I have a couple of shares left and at the end of the post I will share with you what they are….they are READY TO BE MAILED TODAY so as the saying goes….early bird will get the worm! WHEW….lets get to the card! The new Holiday Catalog was launched last Wednesday…..CLICK HERE to see it in it’s entirely or you can CLICK HERE and see the new kids on the block….by catalog (ie…stamps, bundles etc)…and with just about the month of September already here…..this catalog is going to ZOOM BY FAST! You know that I love to design clean and simply cards and todays card is from the Bundle Falling for Leaves. Remember…when you purchase a bundle…you will get an automatic 10% discount! I did purchase this as a bundle as I felt that the framelits being offered were pretty darn special! I used another newbie, the Country Lane DSP. It is funny…new DSP papers are just like new stamps to me…it takes a while to get used to them. After cutting so much paper over the weekend I really got to know them better and in turn…I was able to think ahead in how I would like to use them! I love the fact that we have double-sided paper….always something for everyone! This Blackberry Bliss crosshatch print is a great one fro so many different cards that we like to make…from Birthdays….to Sympathies…to just a quick Think of You Card like I am doing today! When you break it down…it really uses a minimal about of products and this also is one that you could easily make many of to have on hand! I went with a monochromatic look today but you easily know that the sky is the limit with the choices we have in dsp and colors of ink & cardstock! Can you easily see that this is one of those “FORMULAS” that I love to share with you! YEP, it is and YEP, I will give you the measurements for you to easily duplicate! I would go ahead and make this card today even if you do not have the Falling for Leaves Bundle yet as MAKING IT….is the BEST WAY for you to walk through the steps that I will outline below and then make notes of reference for you to make over and over again. It truly is just as simple as that! Score at 1/8″, 1’4″, 1 1/4″, 1 3/8″ and 1 1/2″ I use the Simply Scored Board for my scoring on all of my cards as I feel like it gives a much deeper impression than using our trimmer. This IS one of those BASIC TOOLS that I always talk about that makes the journey of cardmaking easier…..you know me, I always try to be upfront and very honest with what makes me tick! If you have the Simply Scored Board maybe these might be easier for you to score in this way….score at notches 1,2 10,11 & 12! Cut your DSP to 3/4″ X 6″ and adhere it in between the scored lines! This in ITSELF make a HUGE WOW….don’t you think? Cut 3 Stitched Squares – another BASIC MUST HAVE to the size that will fit your sentiment and adhere one flat to the base and then pop up the other 2. I like to angle the squares differently as I think it provides more interest! I cut 3 dies from the Falling Leaves Bundle….I just adore the details that Stampin’ Up! did with them and then I tucked them in with a simple glue dot, darn I love those little things! Envelope LOVE….simple! I took the same theme of the scoring with a scrap piece of Very Vanilla and score it 3 times, adhered it and then added the DSP under it and trimmed off the excess! Well, there you go! I know that my posts are super long but it is super important to me to give you all of the info needed for you to make it yourself. Remember….I am JUST LIKE YOU….as if something is clear to me I can attempt to try it myself and again, I am like you…being able to accomplish something….it is a WIN-WIN feeling of “I CAN DO IT” inside! Why do we do this to ourselves?…we can do anything that we want to do if it is understood, clear and concise! There is no reason that when we sit down to ever feel frustrated. I know that I was actually feeling like I had a creative block and I was frustrated with myself…..and then I did what works best for me….WALK AWAY from it….do something totally different and then come back and say – just do it! In the end, it always comes back to the basics of being clean and simple! The next couple of pictures show you what I do when I get a new stamp and bundle. I purchase my magnetic cards from Stamp N Storage and YEP, it is an investment but what the heck about this crafty thing that we do that is NOT AN INVESTMENT!? In the 2nd picture you will see the shapes I cut out….I started to do this and ad them to the back of the magnetic card and if it gets retired…no biggie, I just peel off the white piece and reuse the magnetic card. I think that it makes such a BIG DIFFERENCE to actually SEE THE IMAGES cut out…..I find that I am more like;y to use them more! Now to the Product Shares that I have left! While we were flying to Seattle I worked on what it was that I needed to order so when the GREEN LIGHT went on last Wednesday…..I could order and be ready! Here are the items that I have left and ready to ship today to you if you are interested! Please email me and put in the subject line PRODUCT SHARE so I can spot it and I will go to Pay Pal and invoice you and ship it out. I am here getting (hopefully) caught up on a bunch of emails and will be doing the Post Office RUN right before they close at 5! You can CLICK HERE TO SEE THE SHARE OFFERINGS…. (a previous post) – Shares ARE the best way to take advantage of getting a taste of the newbies without breaking your Daisy Bank……speaking on my little doodle daisy bug…..she is GREAT and loves and appreciates her pedicure! Now to Hannah….my little Red Caboose has moved to Seattle Washington to start working on her PHD in Molecular Cellular Biology with the University of Washington and the Fred Hutch Research Institute. That in itself you can clearly see that she get “that stuff” from her Dad….darn, I have a hard time even getting it out! We are both very proud and excited for her. She works super hard and loves the field of research. I think that we can all agree….our world needs more and more medical research and I have witness first hand the power and importance it is. She has 2 roommates that are also just starting this venture and I think with my MAMA BEAR GUT INSTINCT that these girls will be a perfect match for one another…..I just have a hard time relating to all of the “talk that they do”…..but I will say – ONE OF THEM IS SUPER CRAFTY…so I beamed…..
Each one of the girls came from different areas….Hannah – Maryland, Kansas and South Africa but one thing they had in common was they each came with NO FURNITURE……so as you can see…we rented BIG RED to do the job! Hannah had basically her life in her suitcases….we took full advantage of Southwest and we each took 2 bags that could be check in plus 3 carry ons….it was a hoot – one suitcase had all of her favorite kitchen stuff….one had pictures that made it great…….another all of her favorite bedding….etc….so you can see….we were a HUGE help to her! You will laugh…there was an IKEA there so naturally I made sure that John had some great nibbles and libation….and I left and did the FUN STUFF….like the Container Store run and the Grocery Store……You have to admit, there is always methods to ones madness! I am pretty slick at parallel parking and for those of you that know how narrow and tight parking is in Seattle….I whipped Big Red into even the tiniest spaces….I have had lots of practice with our truck and trailer! Lastly….my sweet daughter. I know that many of you will “GET THIS”! Do you remember taking your kids picture before they went off to the 1st day?!?! Well….I was super surprised at when I said to Hannah before she went off for the day…..can I take your picture….she surprised me and smiled and then said…..I JUST KNEW THAT YOU WERE GOING TO ASK ME! Yep, I have trained her well!!! Now here is a CLASSIC that my Mom did to me when I was a grasshopper…..she would take a picture of me getting on the school bus the 1st day and I CRINGED as we had a really big bus stop and no other Moms did that and then…..SHE HOPPED IN HER CAR…..and drove to the Elementary School and took a picture of me getting OFF THE DARN BUS MY FIRST DAY……. I just you could say that I get my passion and love of my family honestly! Have a great day and below you will find all of the products that I used for this great card! I hope to be back in your In-Box on Friday! It does feel great to have the Product Share behind me but trust me, my house needs some love and attention! You know we have horses…..but I now have Hannah’s horse here – Stanley…(which I need to treat with extra special TLC)….we are hoping to get him leased out for the year as if not…this Mom is going to have to ride him daily to keep him in shape! The things we do for our kids….but I don’t mind, I am blessed to have the ability to do so! Stampin’ hugs to you all and please know that when I am absent from your In-Box I am missing you as well. This crafting thing that we all do DOES MAKE A DIFFERENCE and so do YOU! An “oops!” than still is super sweet! Happy Weekend to you! Today I have for you a super sweet card that went through stages of OOPS while I was making it (and I will share with you the oops) but in the end turned out to be one sweet card! When I am typing up my posts and if John is home….he often will ask to see the card that I made. When I showed him this card he smiled and said, “Your Mom would have loved this card” and YEP, he is right as it would have been right up her alley! I adore the way the artist sketched the stamp images, lines like this make it a cinch to color in all mediums….being watercoloring like I am doing today, using Alcohol Marker/Blends, Colored Pencils or even just our Stampin’ Write Markers…. The Sentiments/font – I am strange….I like either super clean & simple fonts….or ones that “just catch my eye” and this one does that. You could easily use these sentiments with other floral stamps you have and also with a heart. For the above reasons, this one was “coming home”! I encourage you to “think about” guidelines that are important to you before you just take a leap and buy. Let’s face it as we all do it – we buy things and simply do not use them. I will have the new catalog in my hands. With that said, this is the time of the year that I challenge myself to use up current DSP as we all know it – when new paper comes out….we will just “have to have it”….that’s why Product Shares are the best! I chose my color palette today after I picked the DSP I was going to use. I know that it is hard to see but the Berry Burst color is actually a piece from the Naturally Eclectic DSP Pack and I covered the whole front panel of the White A-2 card. I like to do that when I am using watercolor paper as that paper is not as bright of a white. The DSP paper is one of those that have a gradient look and feel to it and honestly – I have a hard time using them and I am a clean and crisp gal but this is a PERFECT way to use it as the subtleness of the coloring of the DSP lends a perfect backdrop to my focal image! This is the time of the year that I really try to use up current paper as when the new ones come out….they all get cut to 6″ X 6″ squares until I use them up! When you watercolor make sure that you are using an ink that will not bleed when you color with the aqua painter. I used the Archival Black Ink to stamp the focal image! I was so excited to color (as it has been a while since I have used the aqua painter) that I did not stamp my sentiment…..that is where the BIG OOPS! happened! I colored away and had fun and then when I stamped the sentiment…..YIKES – it did not stamp well and there was also a blob of black as I rocked the stamp! You see….It happens to me too! PLAN B – stamp the sentiment on a scrap of watercolor paper and then pop it up as I did! Things like this used to get me super upset and frustrated but the reality of it is…IT IS JUST PAPER and I like to think that mistakes are a learning factor of life that happen to all of us to bring awareness. It was super easy to cover up my mistake and no one would ever know! It is so easy to just pull your ink pads out, give them a good squeeze to get the ink on the lids and then go to town with the Aqua Painter. I always like to make sure that I have a folded up piece of a paper towel right by me as I work so I can quickly dab the excess off of the end of the Aqua Painter. Works like a charm every time! You can see in my coloring that I just kept it super simple…that always seems to make me the happiest when I am creating but I do invite you to look at colors that you have…and sometimes layer them. WHAT DO I MEAN? Well..the area where the green is – I used Pear Pizazz and the Old Olive over top. For the flowers – I first used Powder Pink and then added some Berry Burst to the inside of the flowers. For the “ground area” – I used Sahara Sand 1st…then went over it with some wisps of Crumb Cake and then the finale was to take my black pen and make some squiggles. Always try to think of the simple little touches (like my trio of dots) to add your own special touch to your projects. Speaking of extra touches – can you see the centers of the flowers on both the card and the envelope? I add some white Nuvo Drops. I adore the wee little bit of the raised effect it gives. You can see in that the Nuvo Drops come in a ca-zillion colors and there is no need to go crazy…I say that I use the clear, white and black the most but please make sure that you let them dry completely. I usually add them and then go back the next morning. Envelope time….because the DSP that I used on the card was so “plain jane” I wanted to do something a bit different. A quick stamp 3 x’s did the trick but the accent of the White Nuvo Drops was the icing on the cake! I think in the below picture you will see the height/dimension the drops give. Once they are dry (remember, super important) they will not flatten down or be sharp. I know that many of you are thinking if they will fall off in the mail….I have not had any to do that! WHEW…there you go…..let’s move on! On Thursday’s post….I threw out a fun puzzle/challenge for some Blog Candy as to how would I pick from the items that I had listed at the end of the blog post….that would end up at $124.50 for the Ultimate Bundle if I were picking for a starter kit. Well….I am proud to say that dear Georgette won!!!! There was one little hiccup in her math/choice…..as it is the Thick White Paper…not the Regular White. I think that she had meant to type the thick paper as the regular weight paper would have put her over the $125 target mark! I had the AMAZING pleasure to meet Georgette last summer when she was in Maryland. She is from Ohio and reached out to me if we could meet. Let me tell you…..we never came up for air and we trurly had the time of our lives….and she is ONE TALENTED person! WHY would I choose the Thick??? Easy, no-brainer….the thick creates a wonderful sturdy card…..(I actually sometimes think – how in the world did we use the regular weight before) Please do not get me wrong…the regular weight is a must have as well for the insides of cards and die-cutting & coloring…but if I had a choice of one…it would be the thick! Also – I would have picked the neutrals as one of my 4 cardstock packs and that would have had 2 sheets of the regular weight in it! I know that this post is super long but quickly….I made my choices to get (4) packs of the potentially 5 options as with paper….you can ALWAYS have a great foundation. The other items….no brainer – the basics to card making! The reason that I did not pick the stamp set is…..YOU CAN PICK 2 FREE ONES when you get the ultimate bundle! I had someone last night to be a smart and savvy stamper…..getting the ultimate bundle and I cannot wait to hear what (2) FREEBIE STAMPS she picked! It really is that is…no strings attached….PERIOD….plus YOU will be able to see the new catalog when I do….in 28 days plus you can PRE-ORDER the new goodies from the new catalog starting in May…all at a 20% discount…..truly a win-win! I will do another fun “Ultimate Bundle” game next week with more blog candy…it is super fun to think of the things we can throw in the to get to $125! Enjoy the day….I hope that I inspired you to color and WOOT-WOOT to Georgette…..thanks for spending some time with me! Good Morning….HEN PECKIN’ PINKIE here…Before we get to this simply beautiful card (if I do say so myself) I want to say a big thank you for your sweet comments, emails etc….about my “bump wrist” I am doing fine but I admit, I am not a good candidate to be in slow mode. This “pinkie” is not the best for a card maker…..Oh well…..I will be fine! Ok…I love this stamp set, Count My Blessings. I blogged about it before and I will blog about it again as I just think it is lovely. The “sketchy images” make it a breeze to add a bit of color and BE DONE! The below picture from the catalog was my inspiration for todays project. I was proud of the end result that I did and I will say…it was FUN to make but it was even better to have the feeling inside that I stuck it out to make that background…and it really was not bad at all! Gotta love your stamp-a-ma-jig! That darn piece of plastic IS your friend, it is just one of those things that you really need to learn how to use….as it does come in handy! Because it truly is a pain to type, I will let my pictures tell the story! Please leave me a comment and let me know how you like it….I was super happy with the end result and I will make more with a variety of colors to have on hand! A classic in my eyes…. To create the backdrop, I simply used the “jig” and Pear Pizzazz was the focal color of the day! I did use Very Vanilla as my base….I love it for Fall….Layers of paper, simple bits of color….creates a classic! I know the last time I used gold for some splatter accents I had emails about it. I purchased it from Amazon, here is the palette that I like to work with but if you do not want to invest this much, I am sure any “gold” paint will work.